Only 4 days to go for the giveaway to end !!! This is a final bulletin about Aloe Veda Gift Hampers Giveaway. 2 lucky winners among you will win Rs.750-Rs.1000/- worth gift hampers from Aloeveda. So what are you waiting for? Click here and participate.Participants who have already participated, please check for your entries count below and in case of any discrepancy please mail me using 'Contact Me' form on the menu tab. 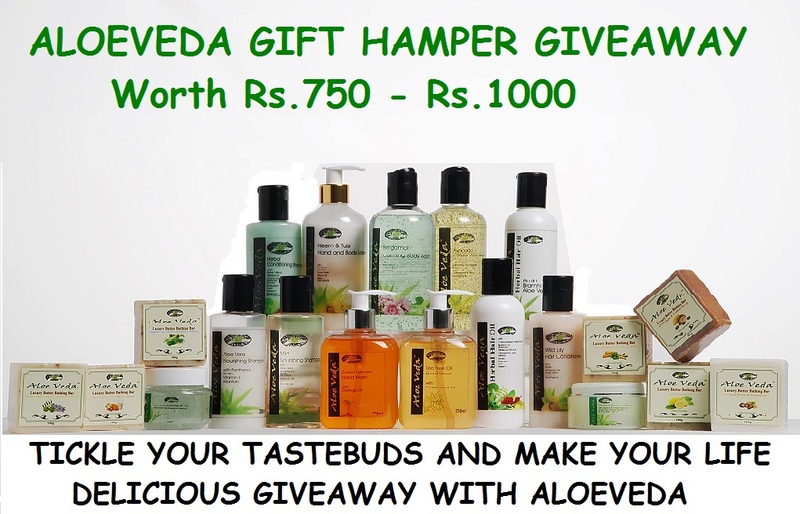 Two lucky ones among you are going to win some wonderful products from Aloeveda! Woww!! Once again wishing all of you best of luck!